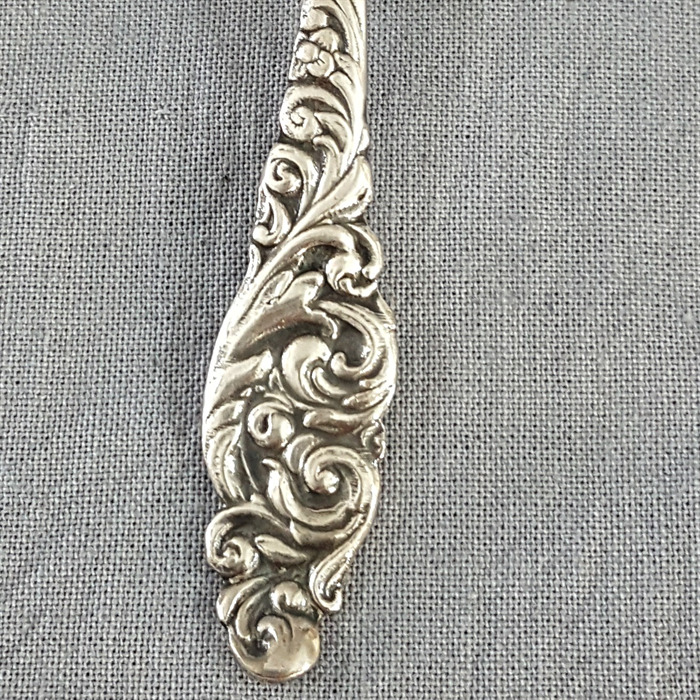 This pendant necklace has been made from a vintage silver plated spoon handle. It has a strikingly unusual pattern which is hard to find. 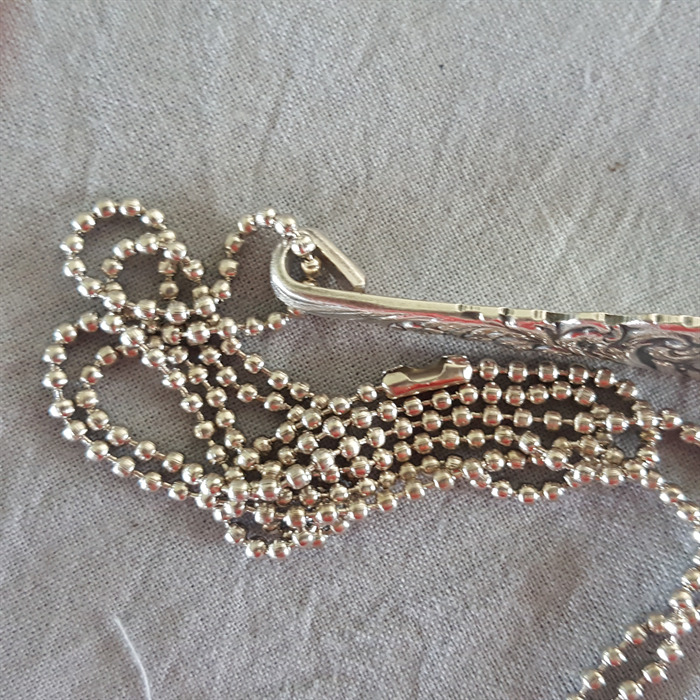 It comes with a 75 cm ball chain but could be easily transferred to a different chain if you had a favourite you wished to use. All my jewellery has been hand made from vintage, recycled silver plated cutlery. They are all made with care, using traditional tools, in my home workshop. Although my tools are modified to reduce the risk of scratches or marking on the pieces, it should be accepted that most are at least 50 yrs old so will show some marks from their previous life.